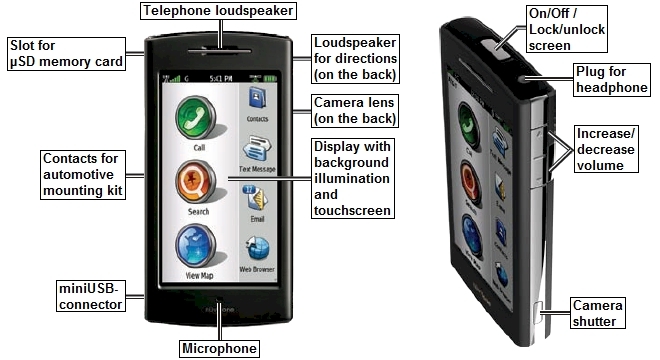 Multi-function device: Full featured navigation system, mobile phone, PDA and digital camera in one. 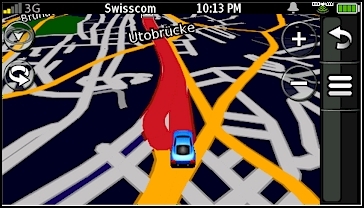 GPS receiver with fast auto-routing, voice guidance including announcement of street names, color display with touchscreen, worldwide base map, pre-loaded detailed maps of all of Europe. 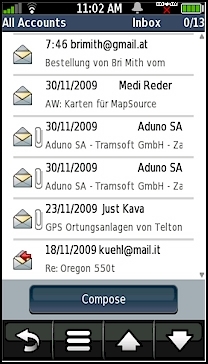 Mobile phone, SMS- and Email plus Web browser. Contacts and calendar. Supports Wi-Fi, Blue Tooth and USB interface. Well suited as navigation system in vehicles but may also be used as hand held device. 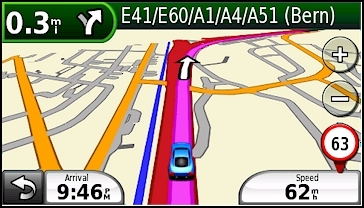 The GARMIN nüvifone G60 provides fast automatic route calculation - including multiple intermediate destinations if required - plus visual and voice guidance. 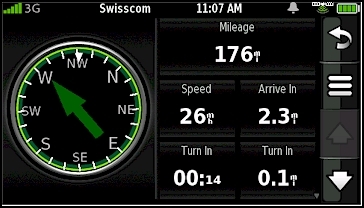 and is equipped with a speech computer to announce the names of the roads. 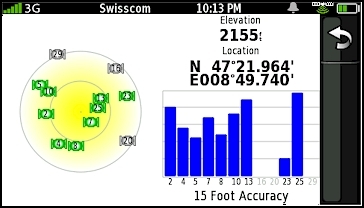 It is easy to use, has a large, easy to read color display with touch screen, an extremely sensitive antenna and an integrated worldwide base map. It is very well suited as a navigation system in cars, but you may also use it as a hand held device. 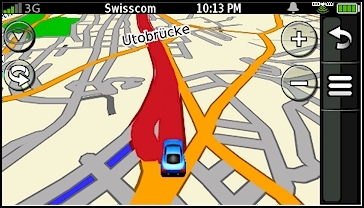 The nüvifone G60 has 3.18 GB built-in memory to store detailed maps with even more information, such as local roads, hotels, restaurants, public buildings and points of interest. This model comes with pre-loaded maps of all of Europe which occupy approximately 2.42 GB of memory including various language files. The remaining 782 MB memory is available to store additional detailed maps, MP3 and waypoint files or pictures. The nüvifone G60 is also a high class mobile phone which supports all current technologies such as GSM, GPRS, Edge, UMTS and HSDPA. It provides SMS and email functionality and includes a web browser. It also supports communication via Wi-Fi (also known as WLAN) and BlueTooth. In addition, the nüvifone G60 is also a Personal Assistant with contacts and calendar and supports synchronization with Outlook. 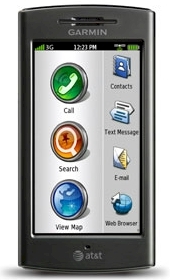 A 3 megapixel built-in digital camera and a MP3 player complete this device. There is a slot for an optional µSD memory module to store additional maps or other data and an USB connector to exchange data with a computer. The device is powered by a rechargeable battery. The package includes a USB connection cable, a charger unit, headset with microphone, a car mounting kit and a car power cord. 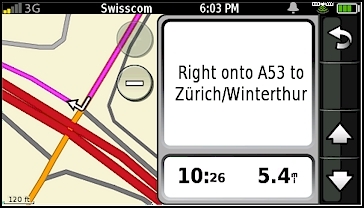 The nüvifone G60 provides navigation information outdoors, in a car, in a train or even in an airplane (see MapSource examples). The nüvifone G60 adapts the display to the current orientation. Simply rotate the device to change from landscape to portrait mode and vice-a-versa. Integrated 12 channel receiver with very sensitive built-in antenna. 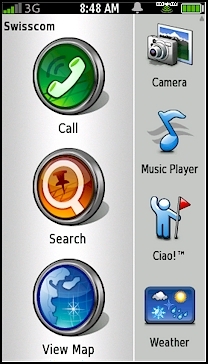 User interface in 5 languages: American English, British English, French, German and Italian. Voice prompting in 31 languages: Afrikaans, American English, American Spain, Australien English, Brazilian Portuguese, British English, Bulgarian, Canadian French, Croatian, Czech, Danish, Dutch, Estonian, European French, European Portuguese, European Spain, Finnish, Flemish, German, Greek, Hungarian, Italian, Lithuanian, Norwegian, Polish, Romanian, Russian, Slovak, Slovenian, Swedish and Turkish. Integrated worldwide base map with countries of all continents including major cities and major highways. 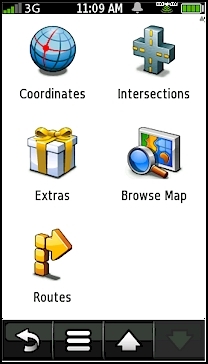 3.18 GB built-in memory to store detailed maps with even more information, such as local roads, hotels, restaurants, public buildings and points of interest. This model comes with pre-loaded maps of all of Europe which occupy approximately 2.42 GB of memory including various language files. 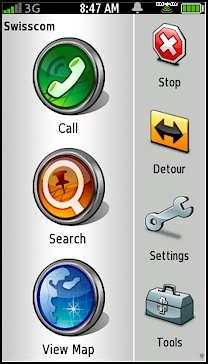 The remaining 782 MB memory is available to store additional detailed maps, waypoint files, music and pictures. Slot for µSD memory card (µSD memory cards available as options). 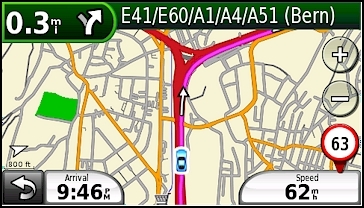 Routing speed: 4.22 (see GPS Routing Speed for details). 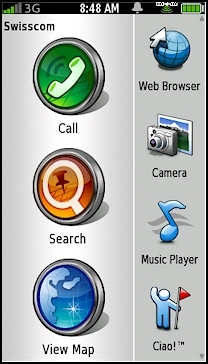 Picture viewer, displays pictures and provides various options, such as zooming, rotation etc. Suited as a hand held device or to be used in any kind of vehicles. Comes with power cable and mounting kit with suction cup for quick mounting and dismounting to easily remove the GPS receiver (seamless switching between cars, theft protection etc. ), does not require any installation. Easy to operate via touchscreen. 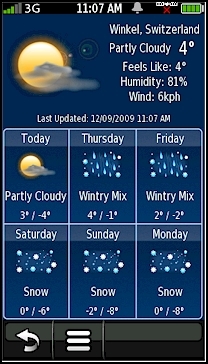 Manual or automatic switching of the display between daytime and nighttime, based on time and the current position (changes the colors of the display between sunset and sunrise for more comfortable viewing) Daytime: bright background, nighttime: dark background. 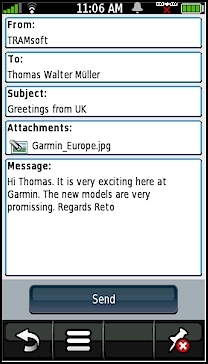 Mobile phone with SMS (text) and email functionality. Support for 2G- (GSM/GPRS/Edge 850/900/1800/1900) and 3G-networks (UMTS/HSDPA 850/1900/2100). Wireless communication via Wi-Fi (also known as WLAN) and BlueTooth. Integrated 3 megapixel digital camera. 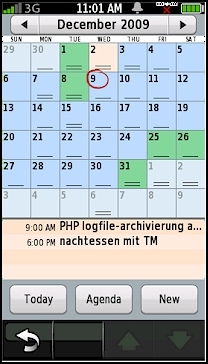 Manages contacts and appointments (calendar), software nüvifon Synch Agent to synchronize data with Outlook included. Powered by built-in replaceable, rechargeable battery (lasts up to 4 h when using the phone or 250 h standby) or by an external 12/24 V power source, e.g. from a car's cigarette lighter (power cord included). Additional batteries available as an option. Short time to first fix (TTFF¹: approx. 15 seconds after a warm start, meaning there are valid coordinates of the satellites available, or approx. 45 seconds after a cold start, meaning there are no valid coordinates of the satellites available). Data exchange with PC via USB connector (connection cable included). ¹) TTFF: Time To First Fix, time until the first information about the local position is acquired. Automatic computing of a route to a user selected destination including optional via-points. 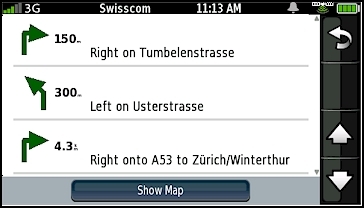 Various options to control route computation including manual and automated sorting of via-points. 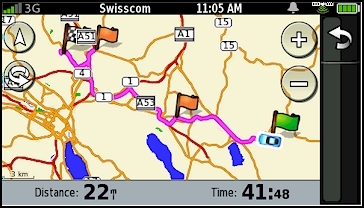 Automatic re-calculation of the route when leaving the planned route. Guidance on the display (visual guidance) and voice guidance via the loudspeaker (acoustic guidance). Also announces road names with navigation instructions. Fast route calculation and re-calculation. 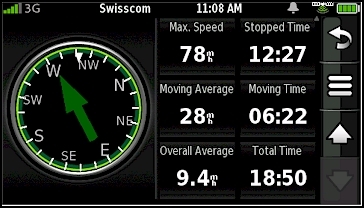 Finds routes 4 times faster than the GARMIN StreetPilot III, see GPS Routing Speed for more information. World map with zoom function. 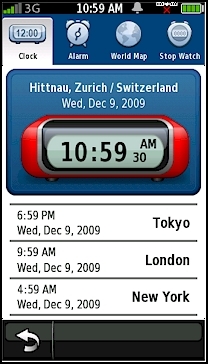 Information on the map displayed in 3 levels of details. Find waypoints, cities and exits. 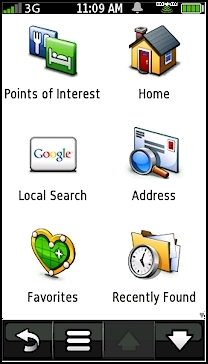 Extended search function for points of interest, addresses and intersections. 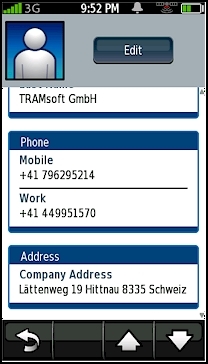 Stores up to 3000 waypoints with name (up to 30 characters), icon (choice of more than 100 symbols), image and phone number. Supports categories to organize waypoints. 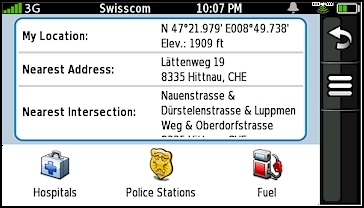 Coordinates and elevation above see level of the current location, shows closest address and road crossing, nearby hospitals, police and gas stations. The nüvifone G60 adapts the display to the current orientation of the device: It may show every page either in landscape or portrait mode. 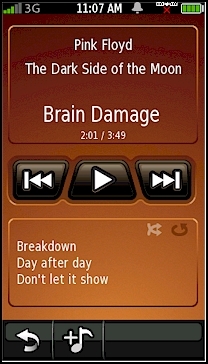 The pictures below show the main menu in both display modes. All further screen shots will be shown in only one mode, but they are always available in both modes. You may customize the appearance of the screen to meet your personal needs. 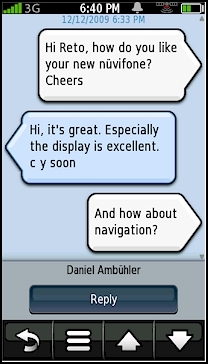 The pictures below are just examples, the actual display may differ depending on your settings. 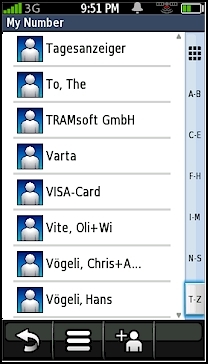 Additional functions such as manage contacts, manage appointments, manage short text messages, manage emails etc. The images above show the screen in its true resolution (480x272 pixel). However, the size of the pictures depend on the characteristics of your display and may differ from the actual dimensions. The screen shots below have been reduced in size in order to improve the appearance of this document. 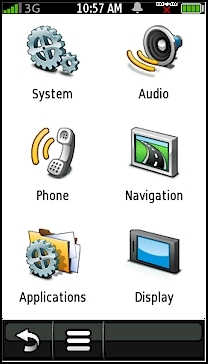 Manage device settings such as language for text and voice, audio signals, display settings etc. 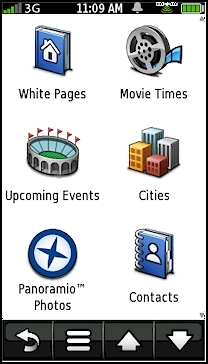 * These are location based services and requires a data connection either over Wi-Fi or the mobile phone network. These services are only available at certain locations. 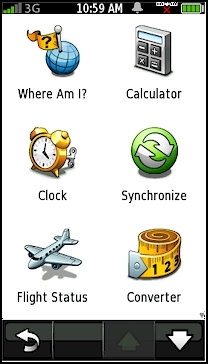 Navigate to the location (calculate route). If there is an active route already, you may choose this location either as the new final destination or to be inserted in the current route as a via point. 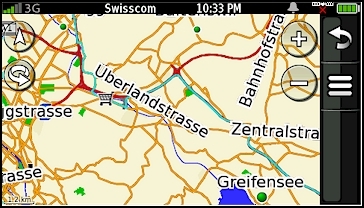 Map with planned route (violet line), current position (blue car), start (green flag), via points (orange flags) and final destination (black and white flag). You may switch the map to 3D view, rotate the map and change the scale. Map with travelled path (track, blue line). 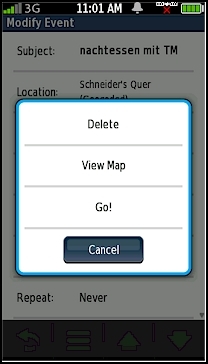 You may set the device to show or hide the track on the map. You may switch the map to 3D view, rotate the map and change the scale. Appointment in details, touch any field to change data. The location is indicated as geocoded which means, you can easily navigate to this location using the submenu's go! option (see picture on the right). Submenu of the appointment to the left. Touch "Go!" to navigate to the location of the appointment. You need a data connection either over Wi-Fi or the mobile phone network to send and receive emails. 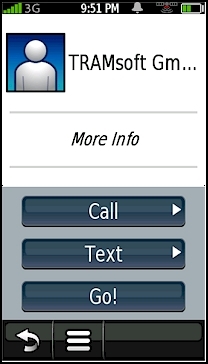 You need a data connection over the mobile phone network to send and receive text messages. Text messages may include location information. 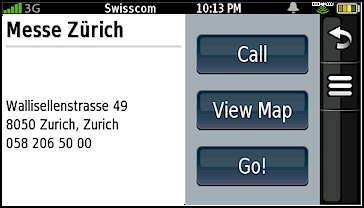 Locations may be shown on the map if supported by the device such as the nüvifone G60. 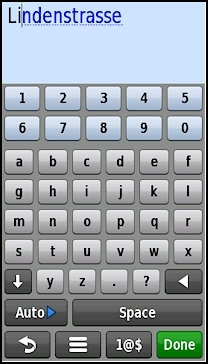 Web page, use the touch screen to pan the page, touch the screen to follow links, use "+" and "-" to change the font size. 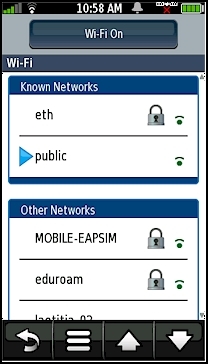 You need a data connection either over Wi-Fi or the mobile phone network in order to use the web browser. Time of day at three different locations. Touch the name of the city to look up a different location. Requires a data connection either over Wi-Fi or the mobile phone network. This model has been discontinued; however, you can still order options for the nüvifone G60. 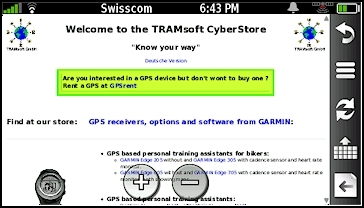 All options for the GARMIN nüvifone G60 in detail, find maps here. 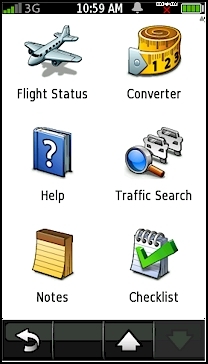 If Adobe Acrobat Reader is not installed on your computer, you may download and install it for free. Click on the price or the shopping basket symbol to add the item you wish to purchase to the shopping basket. If the shopping basket does not work, please use this form. Specifications and packaging of the products are subject to change without notice.